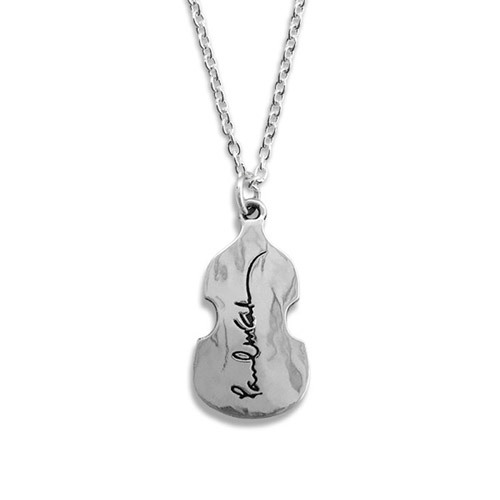 View Larger Pennyroyal Guitar Silver Necklace A collection of handcrafted sterling silver designs created exclusively for PaulMcCartney.com by Pennyroyal Jewelry. 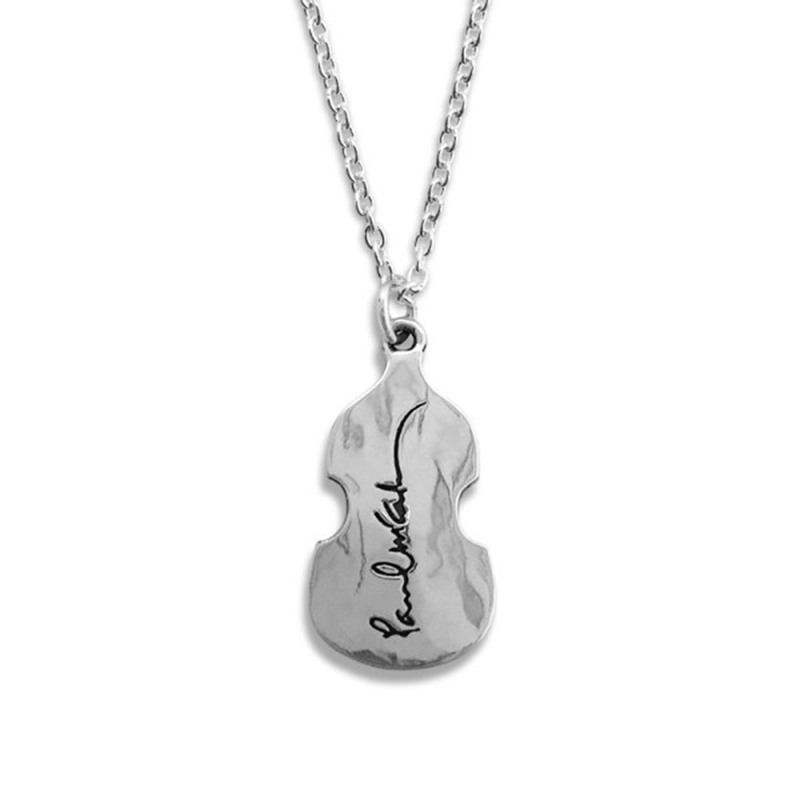 3D Hofner bass body sterling silver pendant on a sterling silver 20 inch chain. Includes custom Paul McCartney black gift box and pouch.